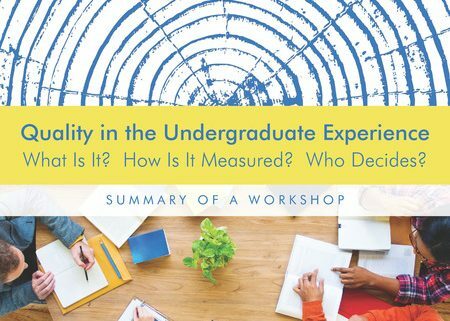 Students, parents, and government agencies need as much information as possible about the outcomes of the higher education experience and the extent to which they can expect a fair return on their investment in higher education. 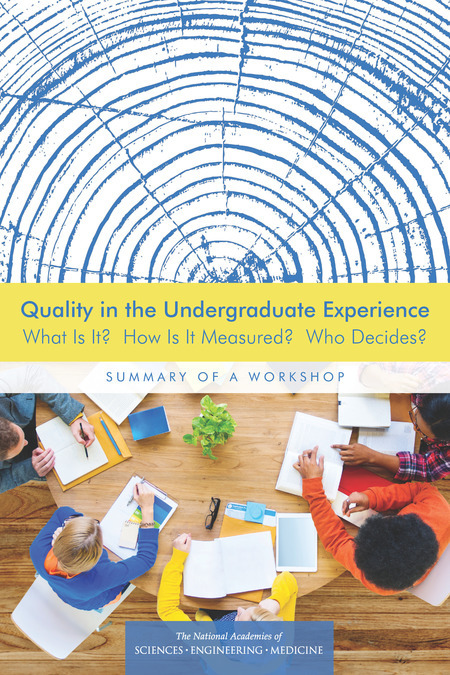 In order to better understand the concept of quality – enabling students to acquire knowledge in a variety of disciplines and deep knowledge in at least one discipline, as well as to develop a range of skills and habits of mind that prepare them for career success, engaged citizenship, intercultural competence, social responsibility, and continued intellectual growth – an ad hoc planning committee of the National Academies of Sciences, Engineering, and Medicine Board on Higher Education and Workforce, with funding from the Lumina Foundation, organized a workshop in Washington, D.C., on December 14-15, 2015. This report summarizes the presentations and discussion of that event. Find the whole book here.